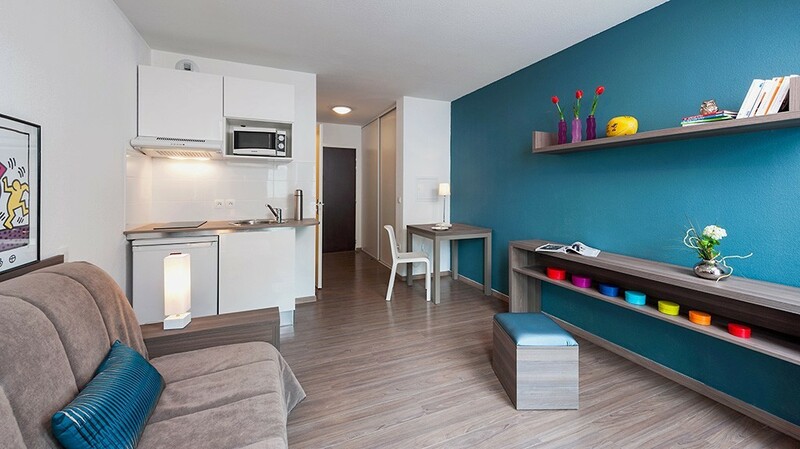 Discover Study’O, the ideal solution to rent furnished apartments in Bordeaux. Moving into a city that you don’t know or very little is not always easy… Study’O has thought of you and offers you equipped accommodations with a kitchenette, a sofa bed, a desk area, a bathroom with shower and toilet, and a broadband Internet connection. You don’t have to worry about moving your furniture, you will only have to pack your bags and enjoy your furnished apartment in Bordeaux. Your furnished apartment for rent in Bordeaux is situated in the Study’O residence Bordeaux Garonne near the schools of Bordeaux Chartrons, and near the tram strop of Achard. Our residence offers you the choice between 120 apartments, from studios of 23 m² to one bedroom apartments of 36 m², all tastefully decorated to make you feel at home right away. Don’t wait any longer and start now to complete your file on our website for your furnished apartment rental in Bordeaux.